The last of the snow has melted and the flowers are in bloom, it’s finally time to enjoy the beauty of spring! Spring is known as a time of change, and that couldn’t be truer for the residential properties in Chicagoland. Over the years, spring has become the traditional season for home exterior remodeling projects and renovations. Not only does spring beckon in warmer weather and the beginning of longer days, but with the holiday season long gone, many people have the extra finances required to finally tackle those bigger exterior projects to improve the value, security, safety, or aesthetics of their home. Spring couldn’t be a better time to give your home a makeover before the long summer months begin! After months of cold weather, spring marks the run-up to warmer weather, brighter days, and the relaxation of summer. However, your home may not forget the ravages of winter so easily! The cold, harsh winter months can take their toll on your property, and now the weather is finally taking a turn for the better, it’s the perfect time to address those essential property features that keep your home protected from the frost, rain, and snow. One of the most beneficial forms of home remodel in Chicago is roof repair or replacement. Spring is a brilliant time to take a closer look at your roofing in Chicagoland with a professional maintenance service that’ll be able to spot and take care of any damage caused during the winter. From buckling and curling to algae growth and missing shingles due to high wind, there’s a lot that can go wrong with your roof during the winter. Investing in a professional inspection and repair service will right any wrongs with your roof and make sure that it’s in perfect shape to tackle the year to come. For a fresh look for your property exterior and a safer environment in the interior, it could be worth taking the plunge and getting your roofing replaced with a stronger, more durable material. Not only is spring the perfect time to have your roofing replaced, but the aesthetic transformation of your property exterior will make your home feel like new! If you’re planning on entertaining during the summer, then the last thing that you want is for renovations to disrupt your plans. An amazing benefit of spring renovations is that all the work will be finished in time for summer, giving you the entire summer to enjoy the new look of your property and the improved functions. To make the most of the beautifully warm and bright summer days, updating your windows in Chicagoland is a great idea. Breathtaking new windows will flood your rooms will light throughout the summer months, and beyond, as well as increasing your home security. Strong, low-maintenance, and aesthetically-appealing windows are a fabulous property asset, and spring is one of the best times to have them installed. When planning your exterior home remodeling projects in Chicago, paying attention to the weather forecast is a must. During the summer months, Chicago is often incredibly warm and muggy, while winter is cold and snowy, limiting what can be achieved in a single working day. With spring, you get the perfect weather to reduce delays and speed-up the installation process without as much concern over extreme weather. The warmer weather is ideal for installing exterior fixtures, like siding or cultured stone in Chicagoland, where you really don’t want the weather to get in the way. 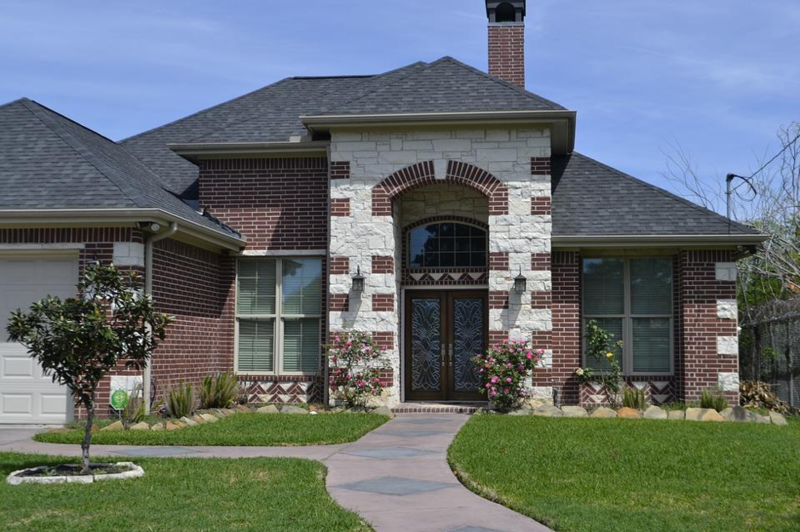 Enhancing your home with cultured stone or siding in Chicagoland will completely transform your property exterior and interior, providing extra protection against the weather and heat loss, as well as improving the aesthetics of your property. There are few times of the year that hold a candle to spring when it comes to putting your property on the market. Not only is the property market buzzing in spring as more people look to secure the best properties far in advance of the next school year, but your house has the chance to really stand-out with the long hours of daylight and perfect viewing weather in spring. Of course, improving property curb appeal is a key aspect of increasing the value of a house about to go on the market. There are some great property remodeling projects that you can undertake in spring to increase curb appeal. Some projects are big, like replacing your windows, but others are smaller and more manageable, like replacement doors in Chicagoland. Upgrading your entry or patio door can do wonders for the look of your home, with bright colors to enhance the aesthetics of your house, large panes of glass to increase natural light, or subtle designs to add the perfect sophisticated finishing touches to your property. Spring may be bright and warm, but the rain is not always easy to escape. May and June are two of Chicago’s rainiest months, so to make sure that your home is protected, repairing or replacing gutters in Chicagoland can be highly beneficial. Professional gutter repairs will make sure that your gutters are in excellent condition to handle the spring showers, while a full replacement could optimize the system for better water-management and less risk of drainage problems. Another excellent option for home renovation in spring is the installation of a rain barrel for gutters in Chicagoland. Rain barrels collect the water from your gutters for later use. With summer around the corner, having outside water on tap whenever you need it will certainly be useful! Contact Apex exteriors to kick start your spring home exterior remodeling projects in Chicagoland, and you’ll be able to make the most of the glorious weather and give your home a fresh new look before summer arrives.